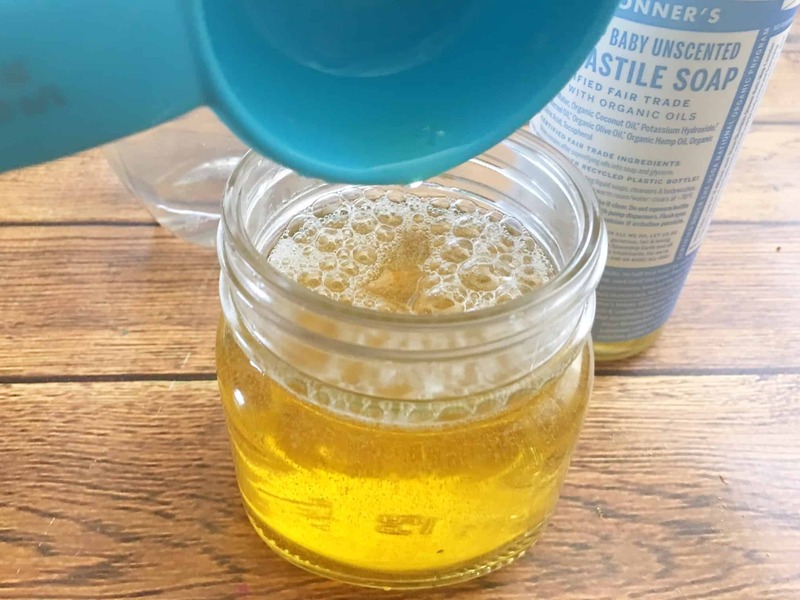 This recipe calls for natural ingredients, most of which you most likely have in your pantry if you love to DIY homemade personal care products. 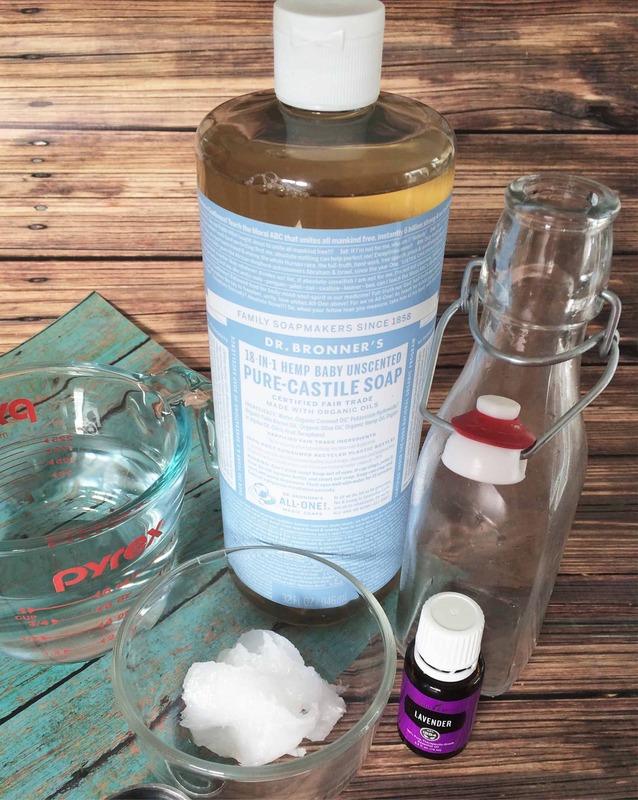 You can store this bubble bath in a mason jar, or these glass water bottles would also work. You can't go wrong getting a 6-pack since this recipe also makes for a great DIY gift! 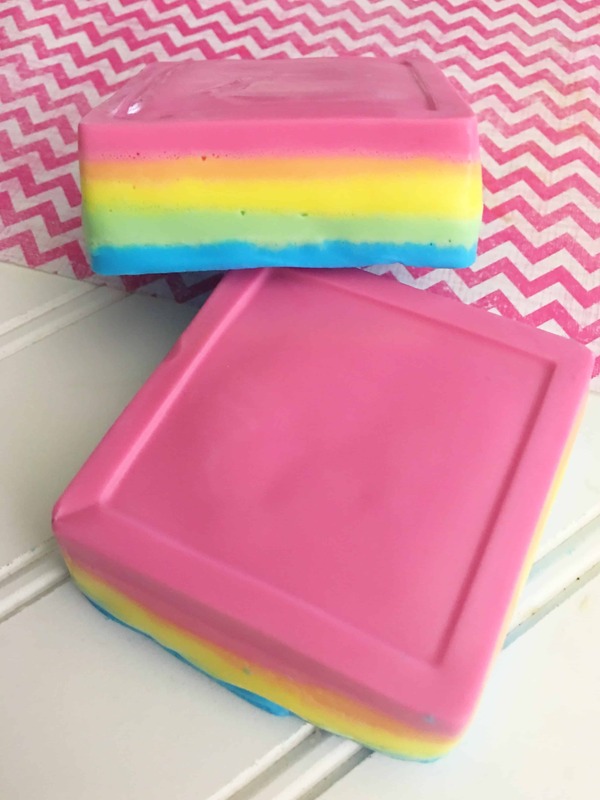 Reusing an old body wash container can work too. 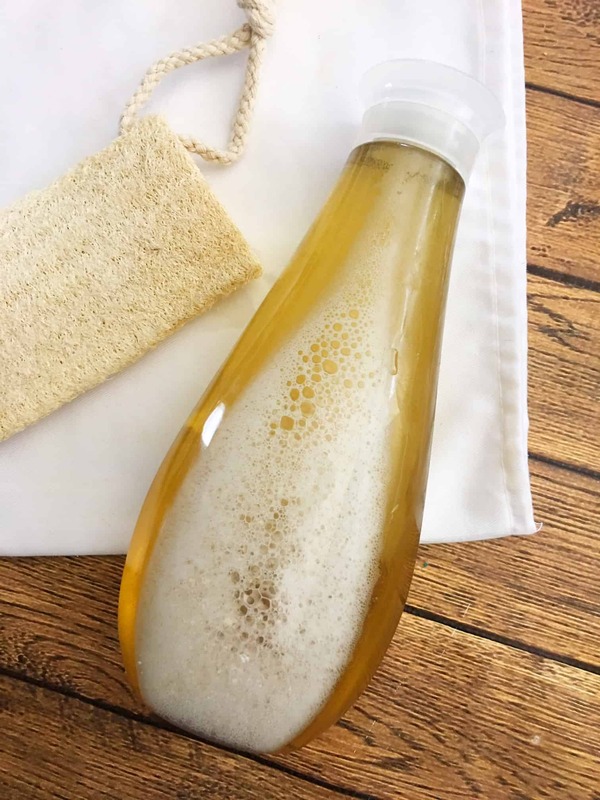 The bottle pictured is a Method body wash bottle. 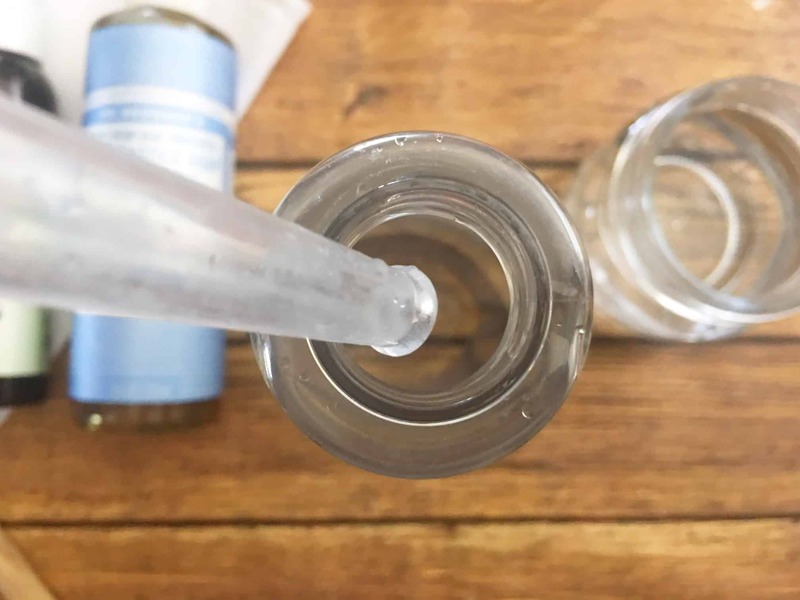 Use our favorite long handle measuring spoons (and on Amazon) to measure and stir the ingredients together without much mess! 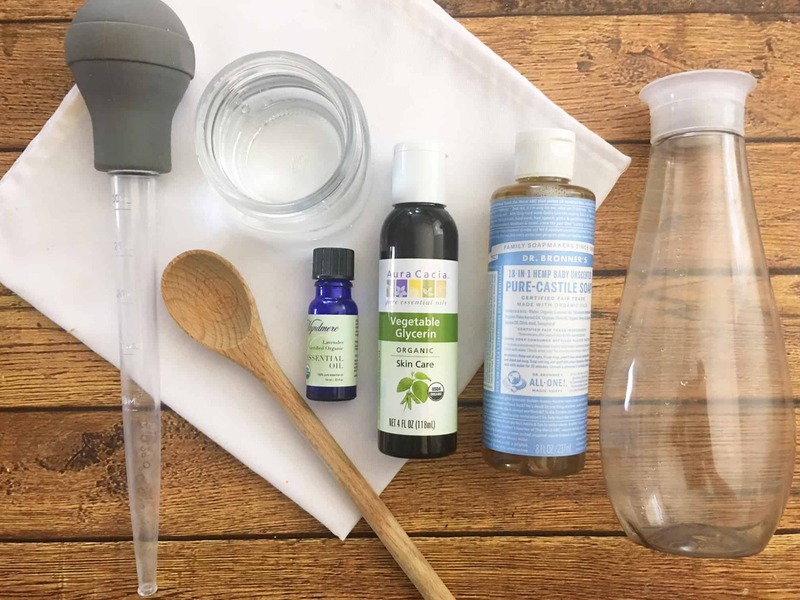 Measure your ingredients and your turkey baster to add your water, Castile soap, and vegetable glycerin to your empty bottle. 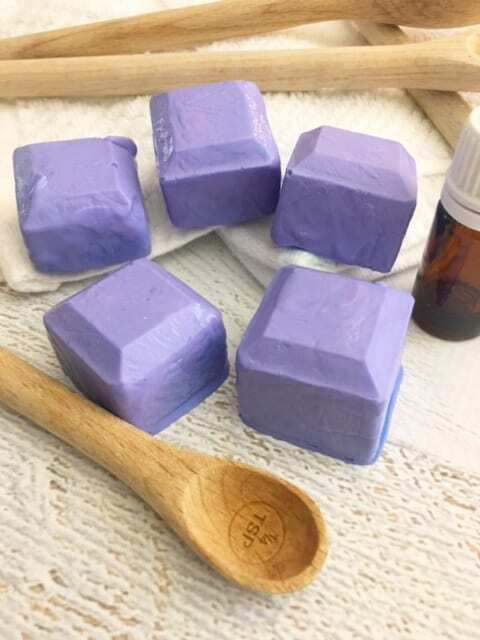 Add in your lavender essential oil and shake your bottle lightly to combine your ingredients. Add a small amount to your running bath water and watch the bubbles form. This recipe is enough to fill an 18-ounce bottle. Double or quadruple the recipe to make a few batches so you have plenty available if your kids go on bubble overload! Or, as I mentioned they are great gifts if you want to add a ribbon. Be sure to save this post on Pinterest for later!